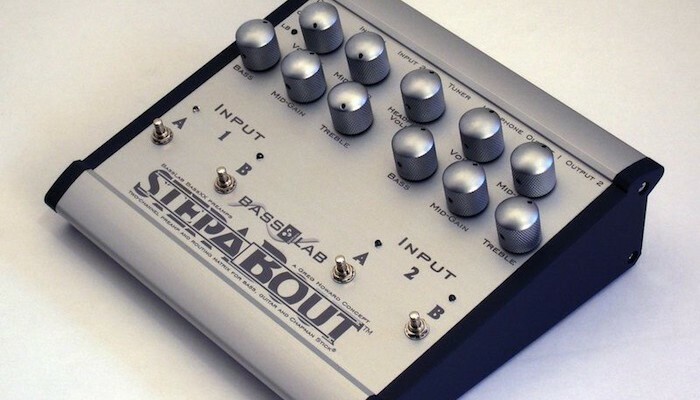 The StepABoutâ„¢ is a two-channel preamp and routing matrix for bass, guitar and Chapman StickÂ®.Â It is a concept of Stick player Greg Howard, built and designed in cooperation with BassLab, equally well-suited to live and studio performance applications. (Video by Greg Howard. Linked is the smaller version via Youtube. You can watch the better sounding original Quicktime version on the Stick Enterprises Inc ®. website. There are also a lot of sound samples, recorded by Greg Howard.). 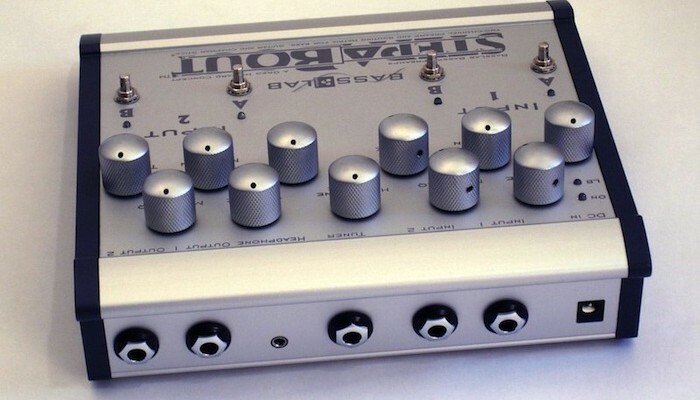 The StepABout incorporates two customized BassXX preamps for extremely quiet and dynamic performance, one for each input channel (1 and 2). 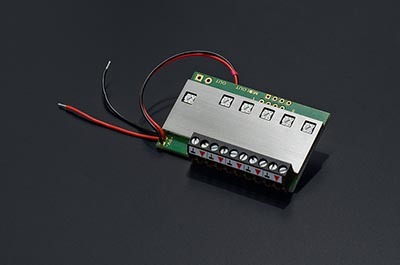 A simple matrix of four switches allows each input to be routed to either or both outputs (A and B), or bypassed. Bassists and guitarists can independently equalize two instruments and switch back and forth to different processing lines or amps without having to unplug. Stick players have felixible mono and stereo routing. The tuning/headphone jack (with independent volume control) is always active even in full bypass. Each input’s three-band eq includes a bass shelving band at a high enough frequency to provide a warm, solid floor under electric guitar and Stick melody strings without making a bass sound muddy. The sweepable midrange has a broad bandwidth for boosting and a narrower bandwidth for cutting, making it more musical than a fixed bandwith midrange filter. Up to 15 dB of high band boost emphasizes articulation and air without introducing hiss or noise, as a conventional shelf eq would. Cutting this band sounds like a passive high-frequency rolloff tone control. Each channel’s eq circuit can also be independently bypassed by pulling the treble knob up, to allow mixing of active instruments with onboard preamps with passive ones, preamped by the StepABout. TRS 1/4inch output jacks are equally compatible with foot-pedals and rackmount gear. Powered by two 9-volt batteries or DC input (center positive 12-15 volt). In Europe, the StepABout can be purchased at 500,-Euro net or 595,-Euro incl. 19% VAT directly from BassLab. 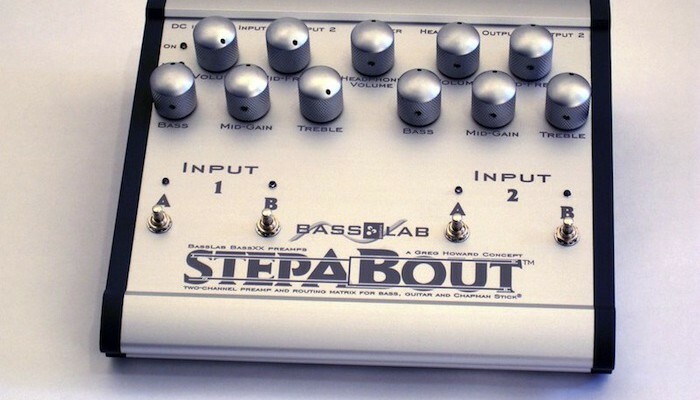 Outside of Europe, the StepABout will be sold via Stick Enterprises Inc.®. StepABout is a trademark of Greg Howard. Stick and Chapman Stick are registered trademarks of Stick Enterprises, Inc.